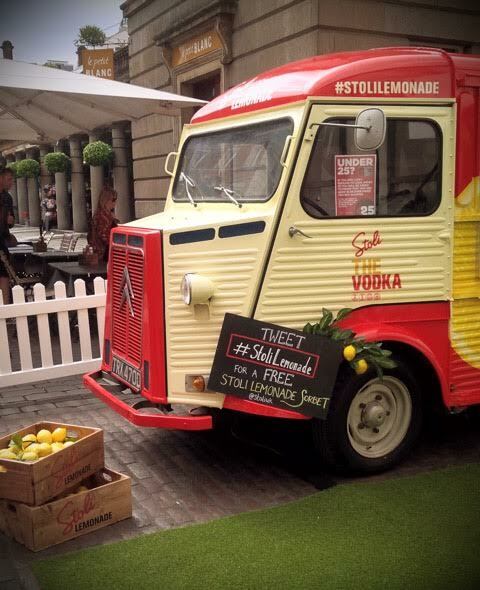 19th June saw the launch of the #StoliLemonade Van, handing out free (yes, free!) samples of Stoli Lemonade and Mint Sorbet, splashed with Vodka (yes, vodka!) 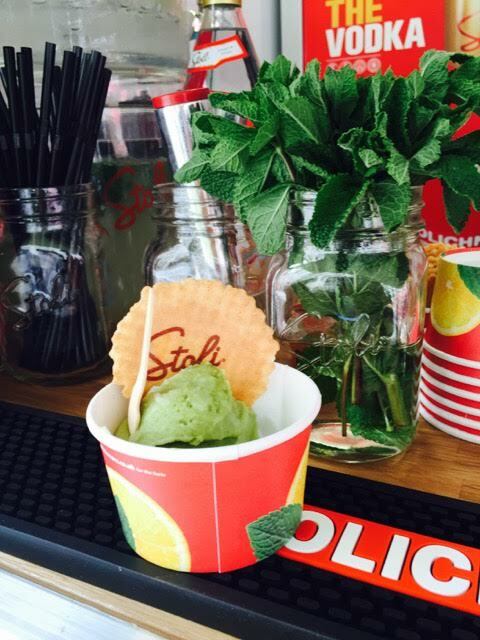 at Covent Garden on a fantastically sunny day – Blended with Stoli® vodka, real lemon rinds, fresh mint and natural sugars, the herby Stoli Mint Lemonade Sorbet is a delightful low-fat and refreshing adult sorbet! As you’d imagine, this is all working up to a bigger project – for you see, Stoli is sponsoring the CAMDEN BEACH at the Roundhouse this summer (17 July – 23 August)! Camden Beach presented by Stoli, will create a daily destination where members of the public can enjoy the sunshine at North London’s very own ‘seaside’ resort. 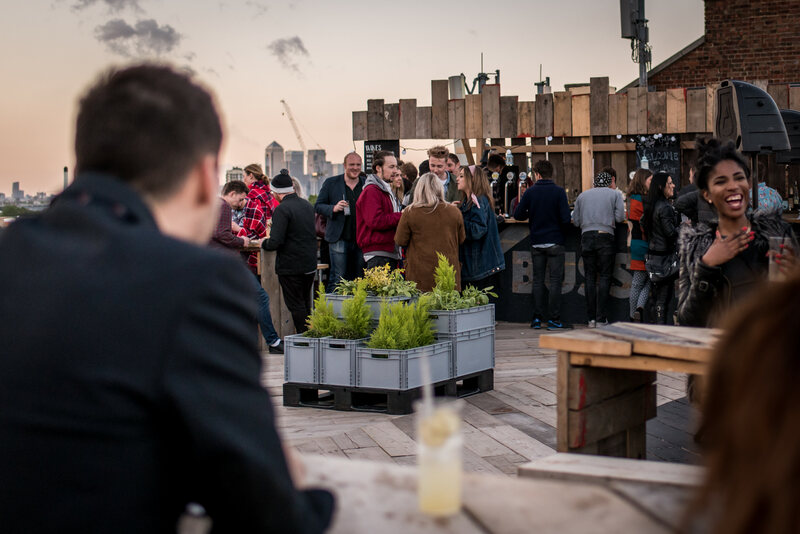 Camden Roundhouse terrace, Camden’s biggest outdoor space, will be loaded with 150 tonnes of the finest sand to host the Stoli Lemonade Van for a 5 week residency, complete with Stoli beach huts, deck chairs and of course a full Stoli Lemonade menu with lots of choice on offer. 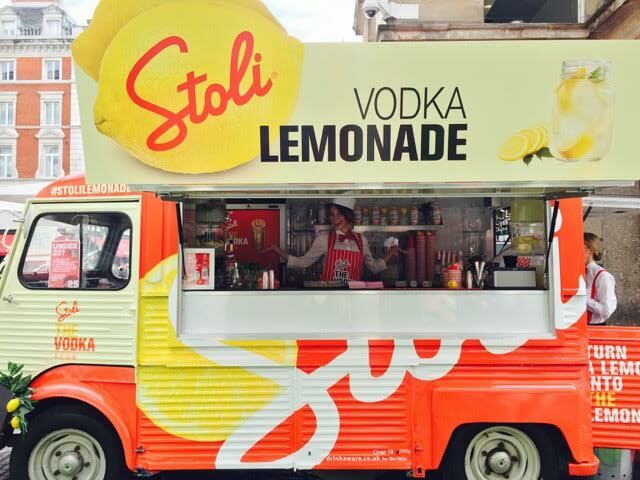 The Stoli lemonade Van will also be in position handing out free Stoli Lemonade and Stoli Lemonade sorbet! This perfect alignment will showcase the Stoli Lemonade serve as a refreshing summer beverage in a creative and original space. Come on down and hunt for the Citroen H #StoliLemonade Van, and wait excitedly for the launch of Camden Beach this summer! 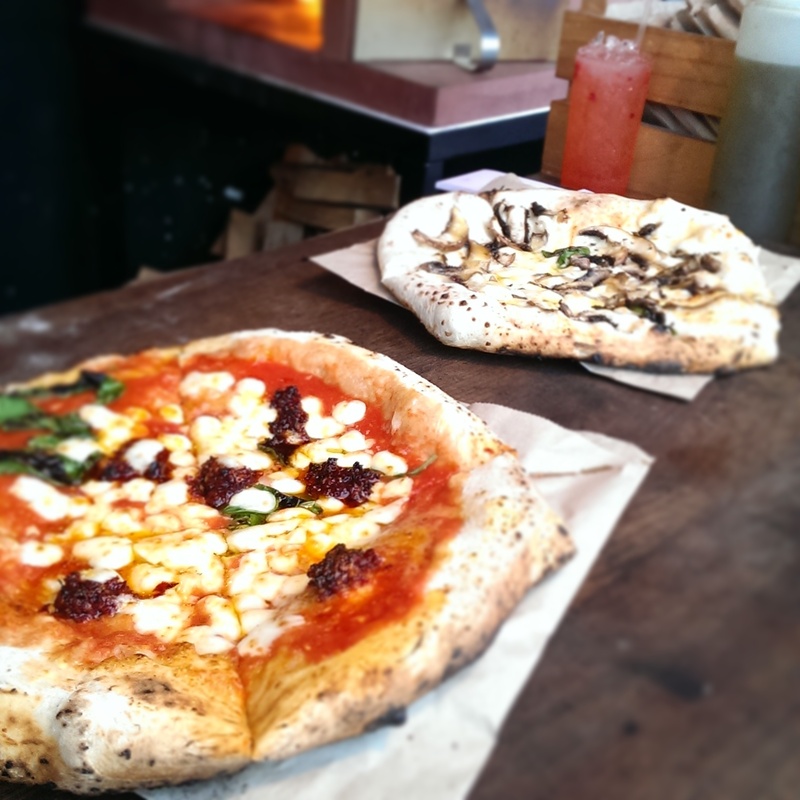 Anyone who’s been down to Greenwich Market has seen the queues into the gelateria on College Approach, and with the coming of summer, Black Vanilla has expanded their offerings into the cocktail world! In partnership with World of Zing’s world food emporium (you might remember their flavoured salts at El Nivel: Click HERE! ), the upstairs at Black Vanilla is officially for #GrownUps! 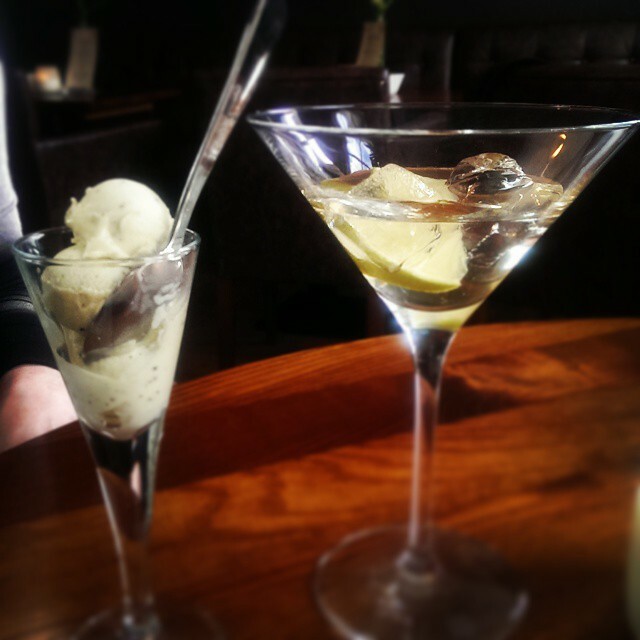 Painstakingly chosen summery sorbets are paired alongside Zing’s ready-to-drink bottled cocktails. 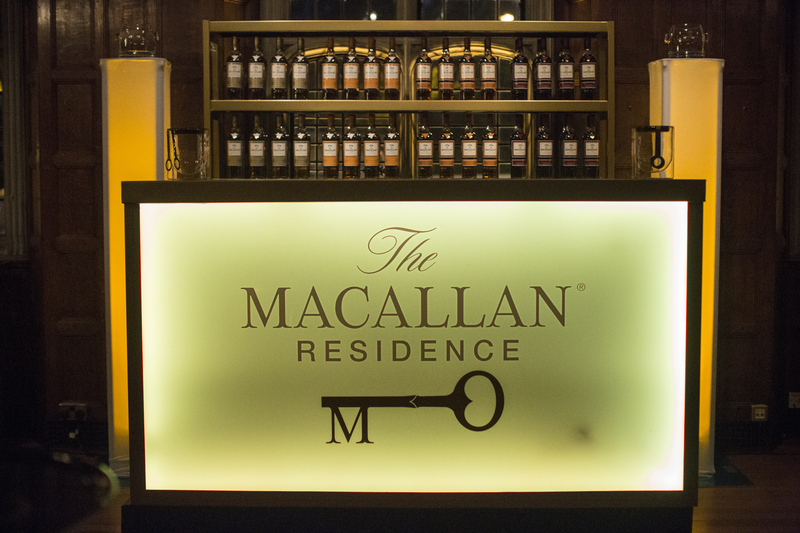 Perched on a high-winged armchair beside the fireplace, under crystal chandelier overlooking Greenwich, a sorbet and cocktail pairing come at about 7.50-8.50 GBP on Fridays-Sundays, till a glorious 11PM. The first round brings in a Persian Lime & Nori Seaweed Margarita, paired with a Kiwi Sorbetto: Ocho Blanco and Reposado tequila mixed in with agave syrup for a Tommy’s Margarita, then World of Zing’s Dried Persian Lime and Nori Seaweed infusion added in. The Persian lime seems to heighten the citrus notes of the Margarita, with a fairly powerful bite, blending well the light saltiness of the Nori. When paired with a lightly textured kiwi, the sweetness of the sorbetto is highlighted wonderfully. 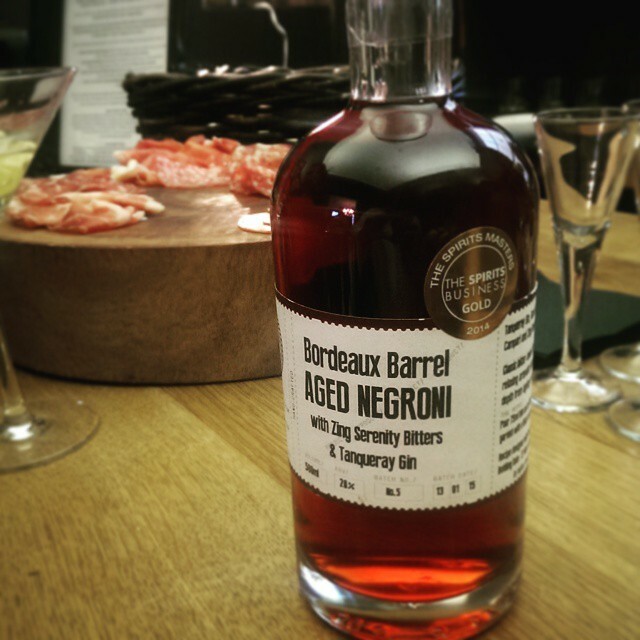 Probably the Hoodooist’s favourite: the award winning Bordeaux Barrel Aged Negroni brings Tanqueray Export Strength to Gancia Rosso Vermouth, Campari and Zing Bespoke Serenity Bitters. 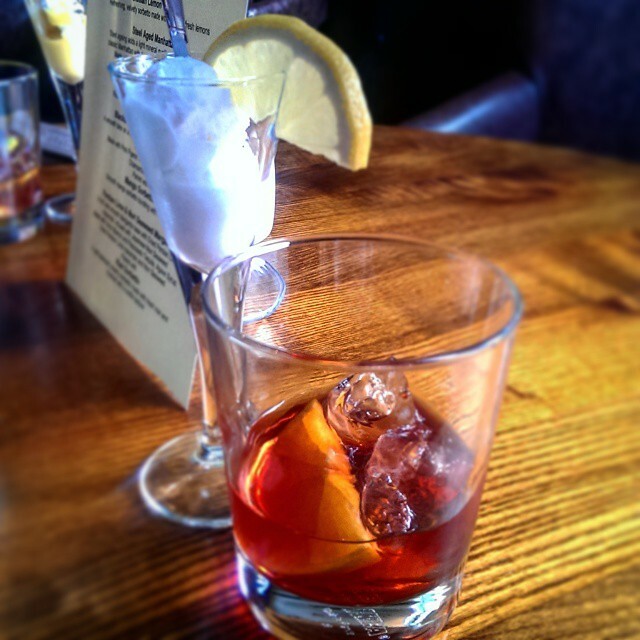 It’s good to see Gancia Rosso being used, it doesn’t make much of an appearance in many bars these days. 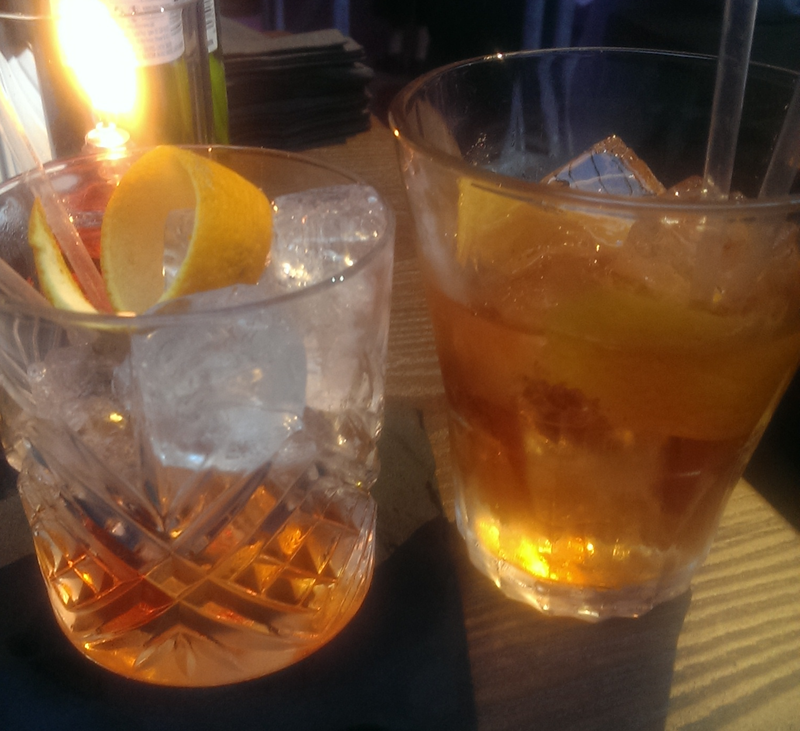 The aromatic Gancia comes through well in the Negroni as the aging allows the vermouth to mature, powering past the strong flavours of the Campari. When paired with the spectacularly refreshing and lively Sicilian Lemon Sorbetto, you get a confident, and certainly Grown Up, couple. Now this one was interesting, the Steel Aged Manhattan: Bulleit Rye Whiskey, Gancia Rosso Vermouth, Zing Bespoke Anaesthetic Brandy & Zing Bespoke Euphoric Bitters. 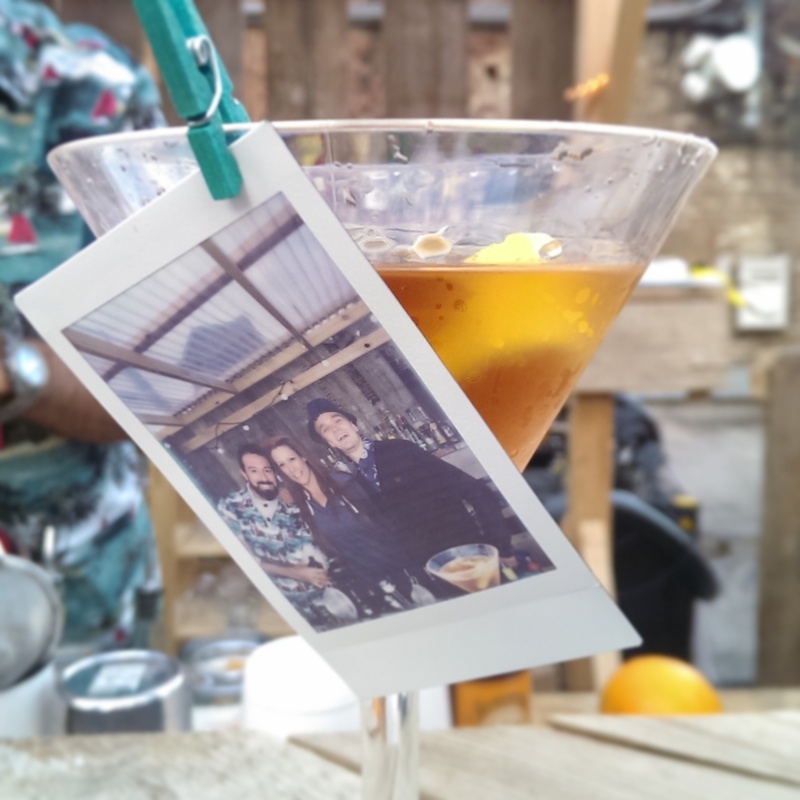 You will want to be specific about your garnish! 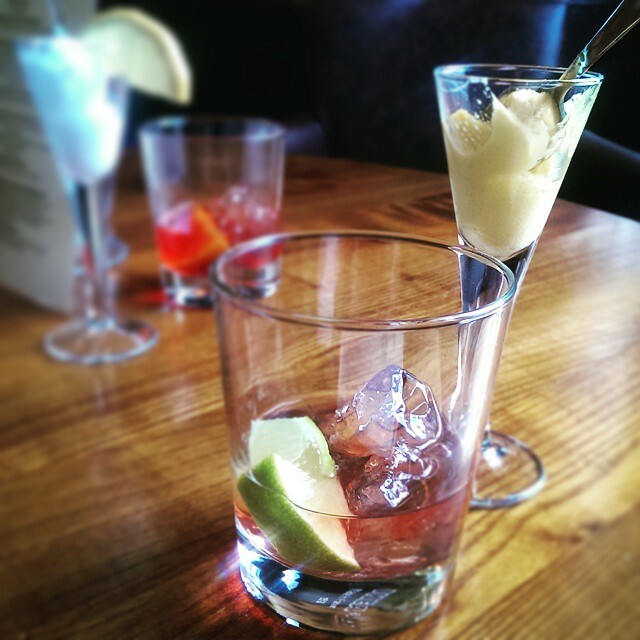 Using either a fresh or a maraschino cherry can alter the flavour of your drink entirely. 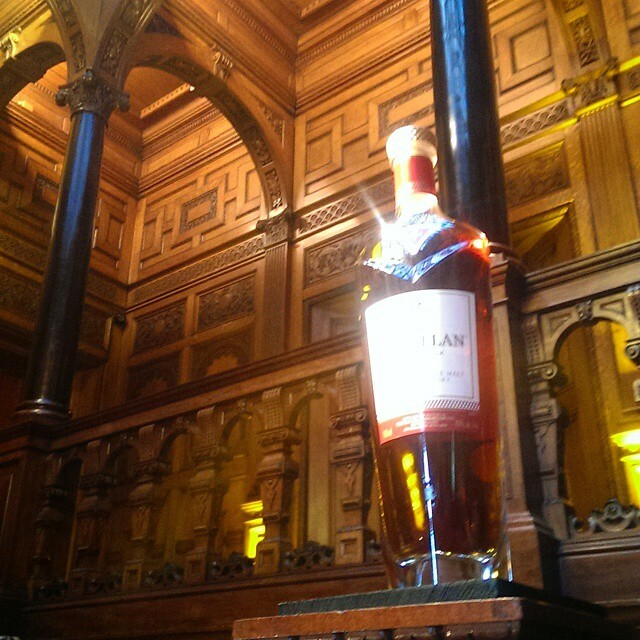 When served with a fresh cherry, expect to have the vermouth and brandy take centre stage, with the woody roundedness heightened. When served with a maraschino cherry, the mineral and biting Bulleit Rye will make itself known – and these are from the same bottle! 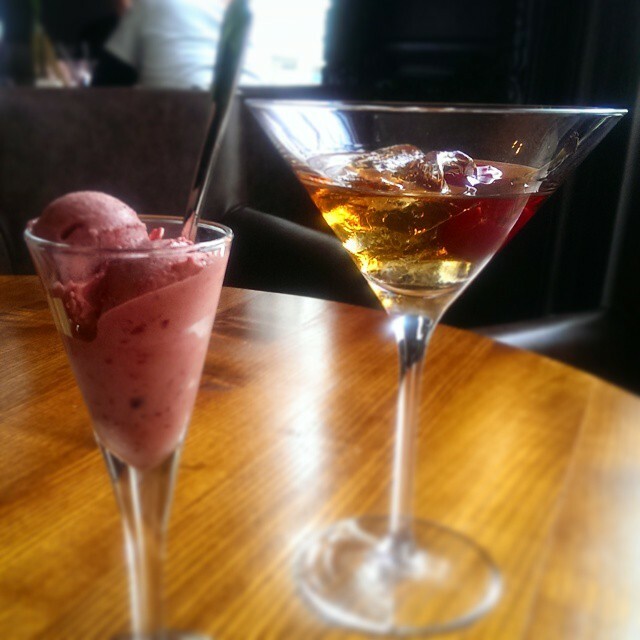 A classic rye Manhattan, paired with a supremely creamy Black Cherry Sorbetto, powerfully sweet to take the edge off the Manhattan. 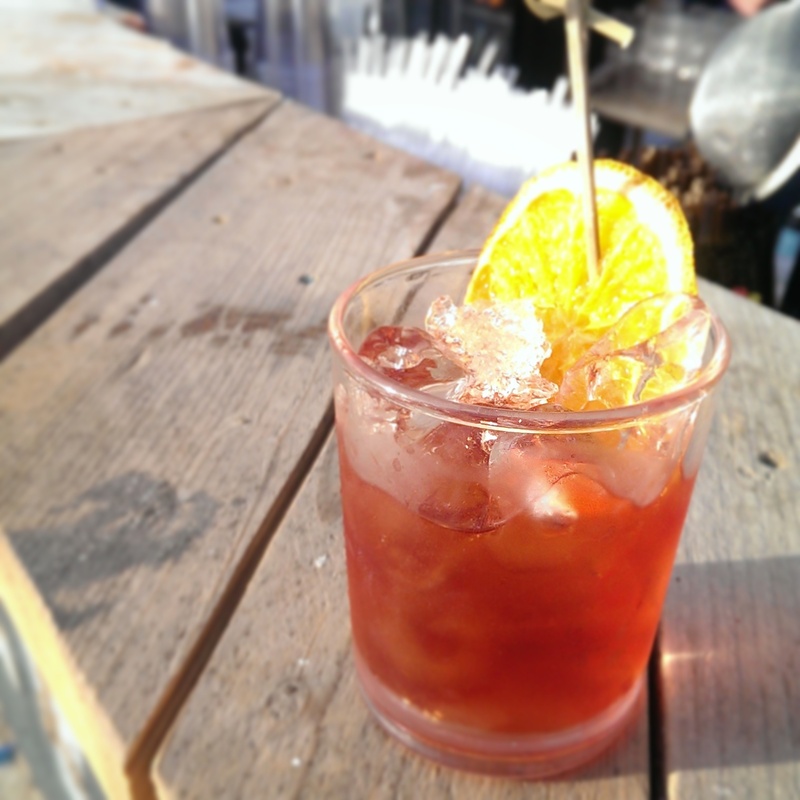 Finally, the Blackberry and Tamarind Rum Punch is a truly unique combo. The rum is softened with blackberries, then married with the tangy flavours of tamarind, with a touch of honey and chamomile water to provide a smooth, sweet cocktail to pair with the rich Mango Sorbetto. 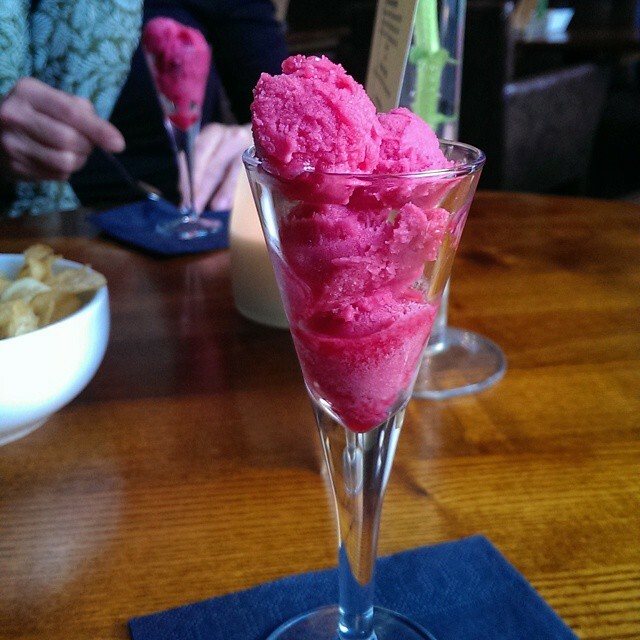 Finally, a surprise visit from a cocktail and sorbet in one! The Barrel Aged Negroni Sorbet is a double whammy at a whopping 6% ABV, and communicates the Negroni wonderfully, tinted pink with hibiscus. A fun, unique, and frankly, invaluable, addition to Greenwich, Grown Ups took an already excellent gelato bar and presented us with something fantastic. 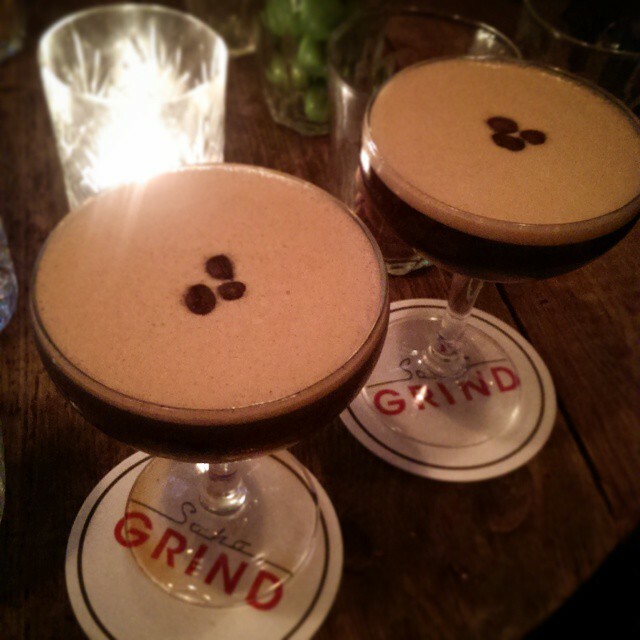 Here’s to hoping Grown Ups has found a permanent residence at Black Vanilla. Kudos to both Black Vanilla and World of Zing for little something for the grownups to enjoy! 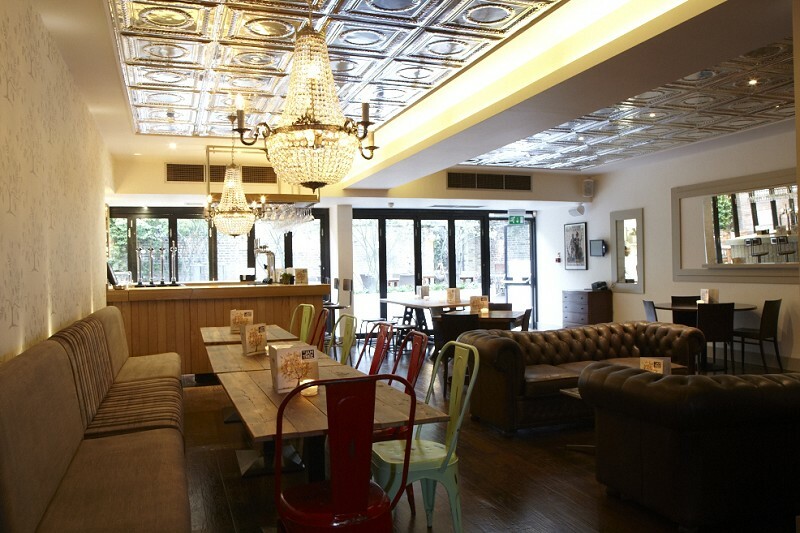 Seconds away from the tube, Arch 635 has been revamped to become a ‘restaurant/bar/nightclub’, with an Edwardian/Opium Den twist, named after the controversial character of Dr. Fu Manchu. 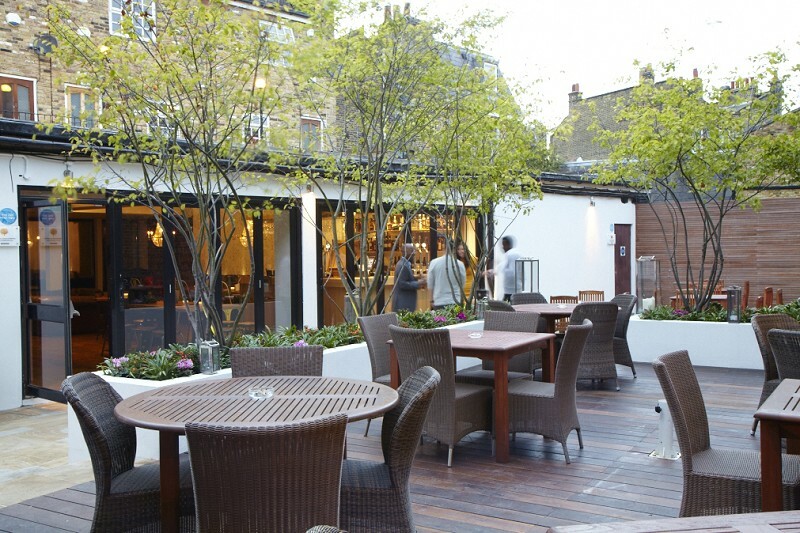 I have pointed out problematic themes in the past, such as the issues faced at the Powder Keg Diplomacy, Wandsworth (Click HERE for Review) – and will do so here as well. Those who know the inspiration of author Sax Rohmer’s infamous villain know that the Doctor isn’t just an antagonist, but introduced in the book ‘The Mystery of Fu Manchu’ as the “Dr. Fu Manchu, the Yellow Peril incarnate in one man” – a character that did not help the widespread Sinophobia present in the UK in the early 1900s. The portraits of actors in yellow-face in the corridors might supposedly be ironic, I don’t quite see the point. If it is one designer’s glorification of a character they like, it’s pretty dated. Outside the embarrassing yellowface, Fu Manchu also happily invited Dapper Laughs to perform at their venue. Make if it what you will. Anyway, décor-wise, the arch is kept primarily empty to allow space for partying and socialising, while the banquettes circling the room provide raised seating for diners, guarded by decorative wooden Chinese panelling. Expect much calmer music in the afternoons, and in the late evenings, some soulful or deep house, and nu disco for your dim sum by candlelight in the purple-hued room. 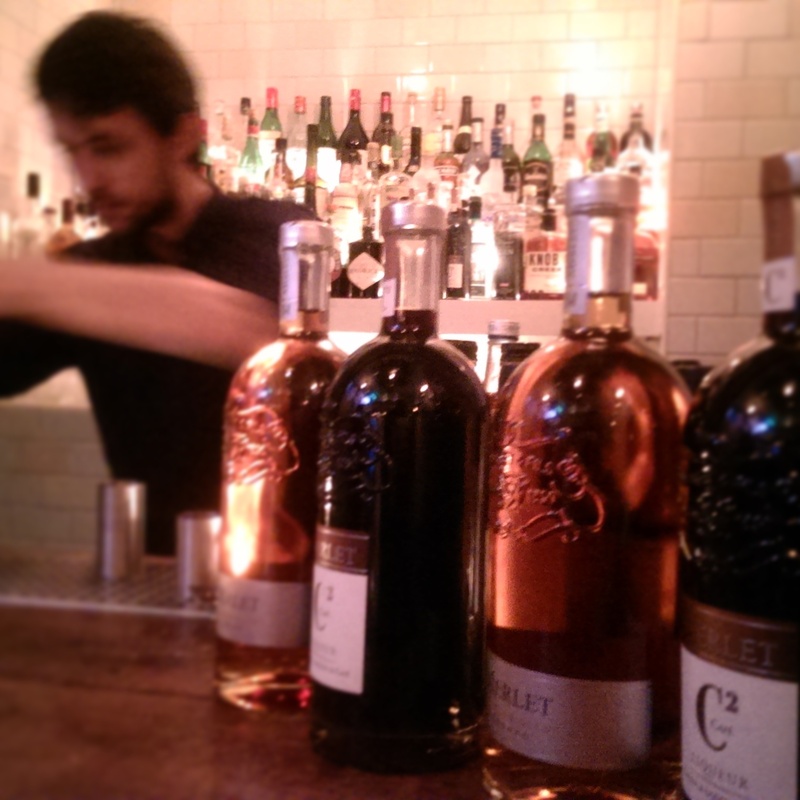 Cocktail-wise, the drinks are a large variety, and themed as well – though not many on the short and neat side. What you want to order is the Blood of Fu Manchu – at first glance it might *just* seem like a twist on the Bloody Mary, which it essentially is – but will surprise upon first sip. 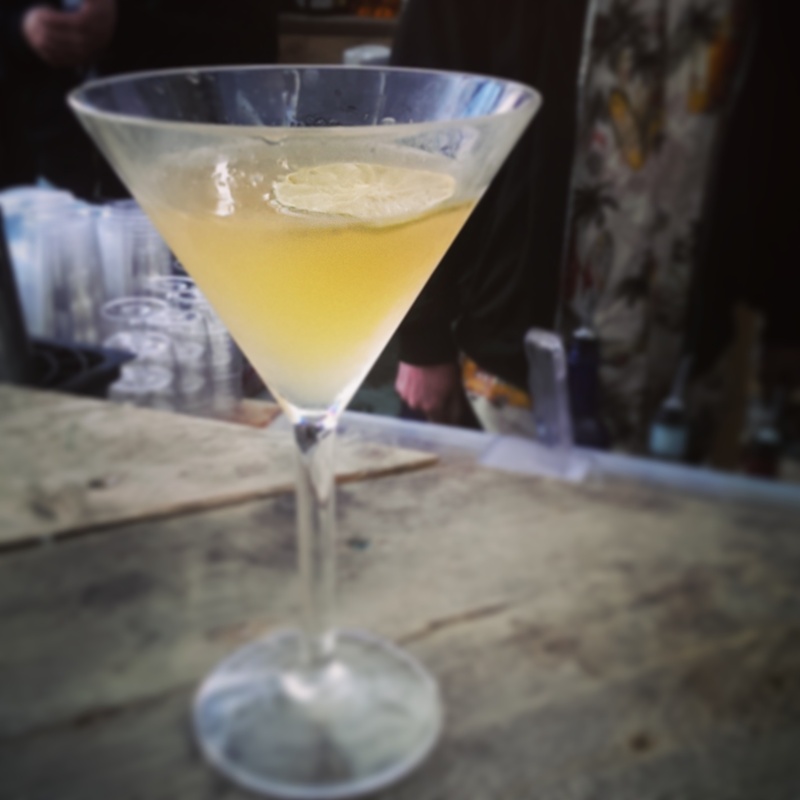 Eristoff vodka, Chinese 5 Spice, 10 yr old Port, ginger puree, oyster sauce and chilli powder, topped up with tomato juice. Much like the Asian Bloody Mary by The Manhattans Project (Click HERE for Review! 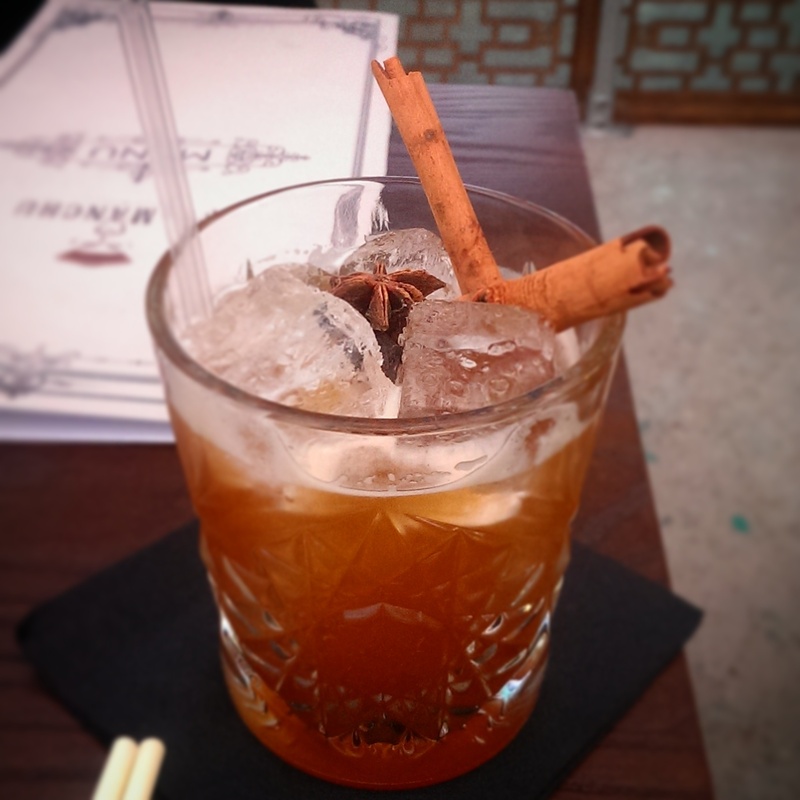 ), it takes inspiration for East Asian ingredients to make an absolutely fantastic cocktail. The salt of the oyster sauce really does the trick to balance out the Port and ginger puree’s sweetness, and the result is a well-balanced, spicy funfest that the Hoodooist highly recommends out of the Fu Manchu menu. Another high on the list would be the Mai Chai – Ron Zacapa 23 rum, with Kraken Black Spiced, Orange Curacao, lime and Chai Tea syrup – beginning with the smooth Ron Zacapa and hints of orange, building into the spicier flavours of Kraken, finally coming to rest on the cloves, cinnamon and cardamom of the chai syrup. 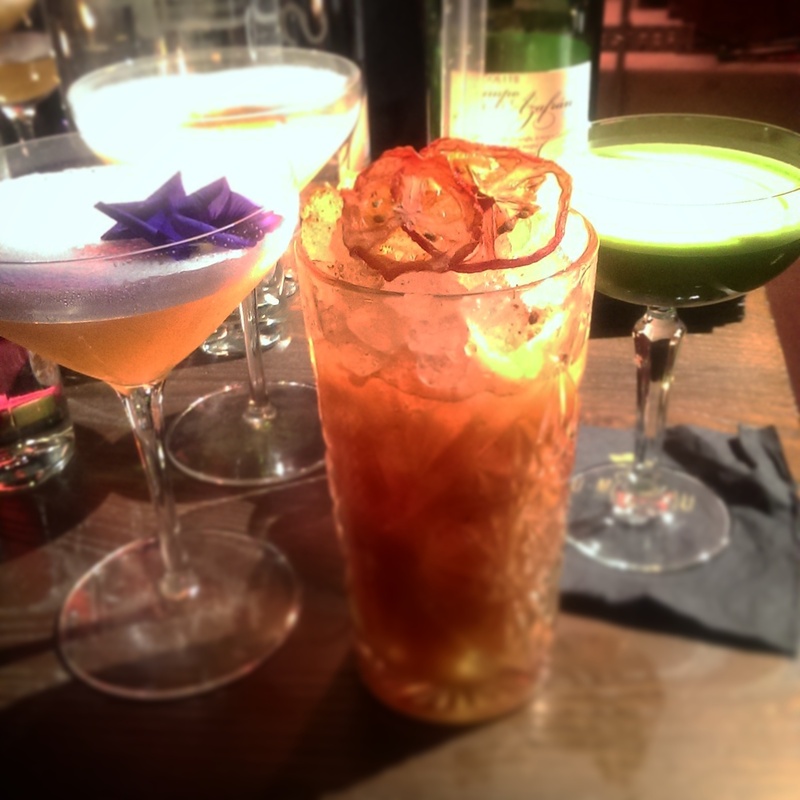 Sweet/sour, smooth, a kind of simplicity some of the drinks on the menu could learn from. 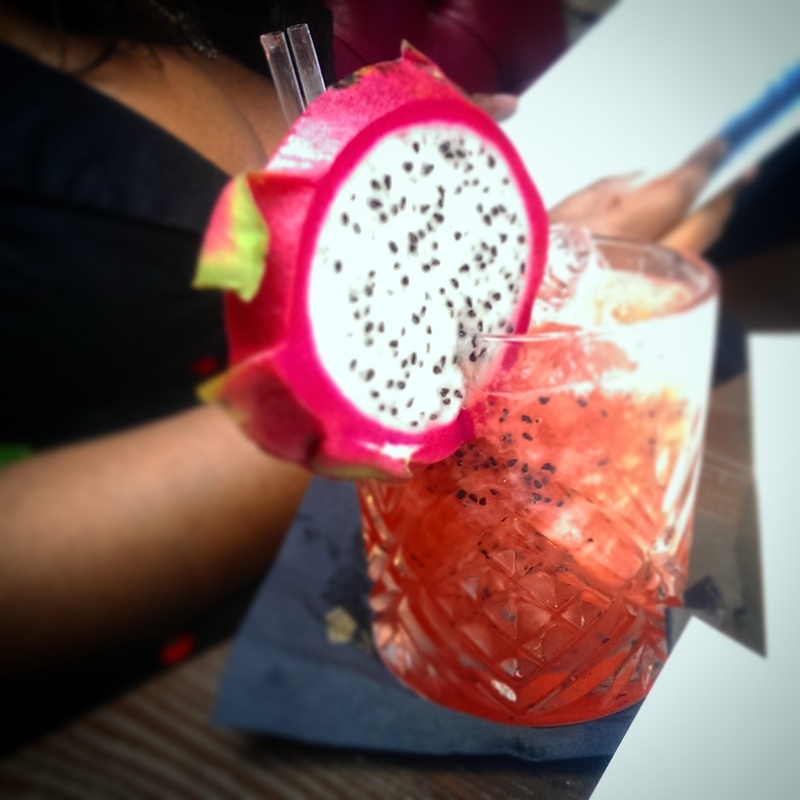 The Dragon Fruit Paloma, an amped up take of the Mexican classic, Sauza Hacienda tequila, Cocchi Americano vermouth, lime juice are mixed in with muddled Dragon Fruit provide a laid back, bright and refreshing. Sauza is either a strange, or very intentional choice of tequila – a very mild, almost characterless tequila on its own (got a few fruit notes, with a white pepper finish), it vanishes in this cocktail. Perhaps making it sneakier? 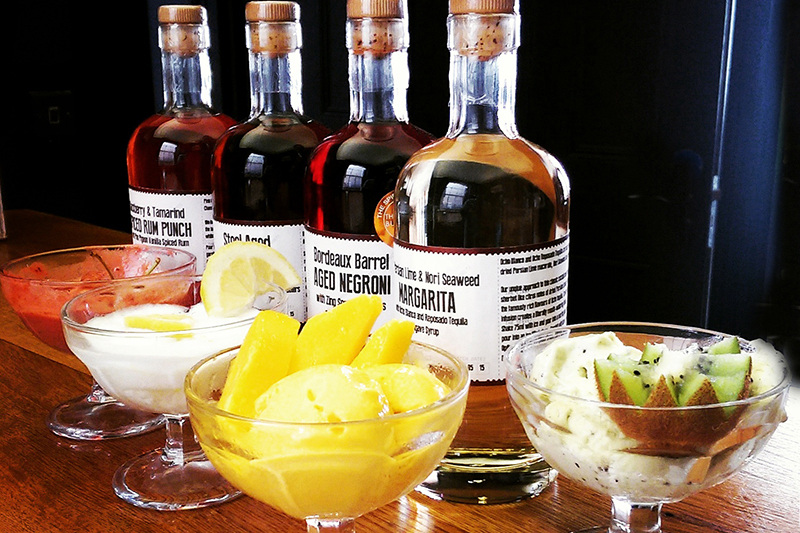 The cocktail is primarily lime and Dragon Fruit, the vermouth makes and appearance with and orange undertone, and ending on a quinine bite. The Lady Jasmin twists the classic White Lady by using Jasmine syrup with the Bombay Sapphire gin, Cointreau, lemon juice, eggwhite and Angostura bitters. Pale, frothy and textured, garnished with a purple orchid, the drink is similarly demure, and gentle. Sweet, but almost imperceptibly so with the laid-back nature of jasmine. If you’re cautious around powerful drinks, this would be right up your street, though it left the Hoodooist neither here nor there. 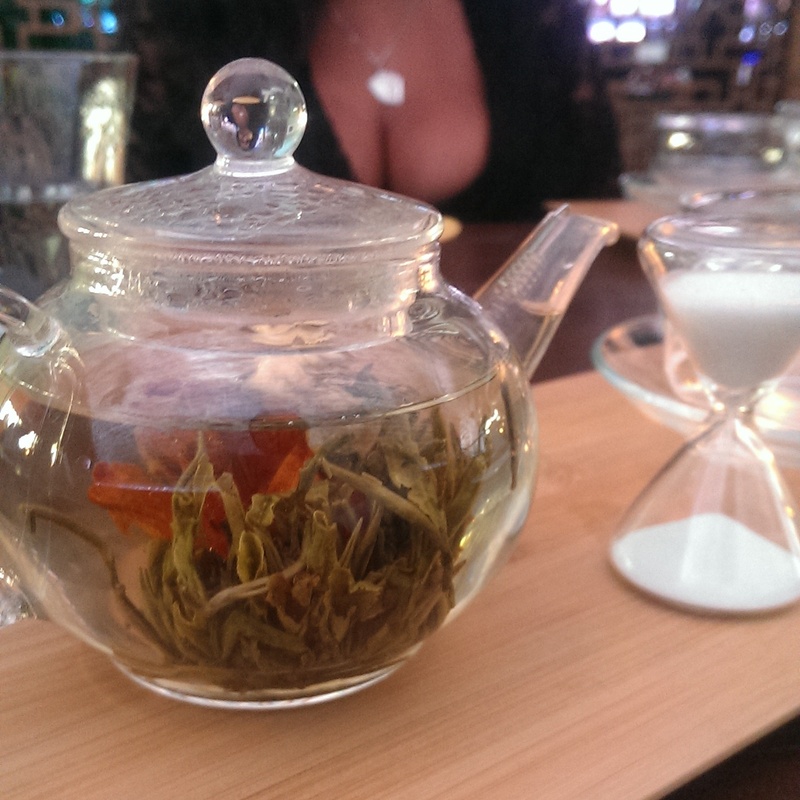 The Lady Jasmin does what it sets out to do, and serves you exactly what it told you it would. Slightly less reserved than the Lady Jasmin, her feistier sister, the Yuzu-Tsu, brings Japanese yuzu tea paste to Cariel Vanilla vodka, Cointreau, lemon juice, egg white and Angostura bitters. Fragrant in two separate ways, the nose is powerfully vanilla, but the taste brings the yuzu’s fragrance out strongly. Tart, yet still somewhat in line with the Lady Jasmin’s gentleness. The same look and texture as the Lady, but garnished with a dried slice of citrus. One should probably use an aromatised yuzu spray to lessen the powerful vanilla nose a bit, but if one doesn’t mind it, it shouldn’t pose any issue. The Kwang Su Boulevardier, now that sounds right up the Hoodooist’s street: Nikka From the Barrel Japanese whisky, with Antica Formula vermouth, Campari, and Dr. Adam Elmegirab’s Aphrodite Bitters. Loving the first three, the Hoodooist has somewhat of a love/hate relationship with the Aphrodite bitters, which bring powerful cocoa, Arabica coffee, ginseng, ginger and chilli to the fore. 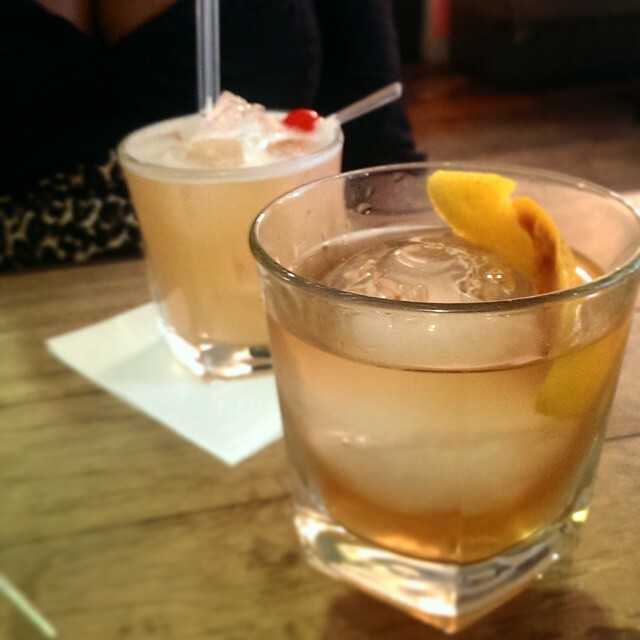 In this cocktail though, there are hints of cocoa and a very distant (if you’re looking for it) spice from the bitters. 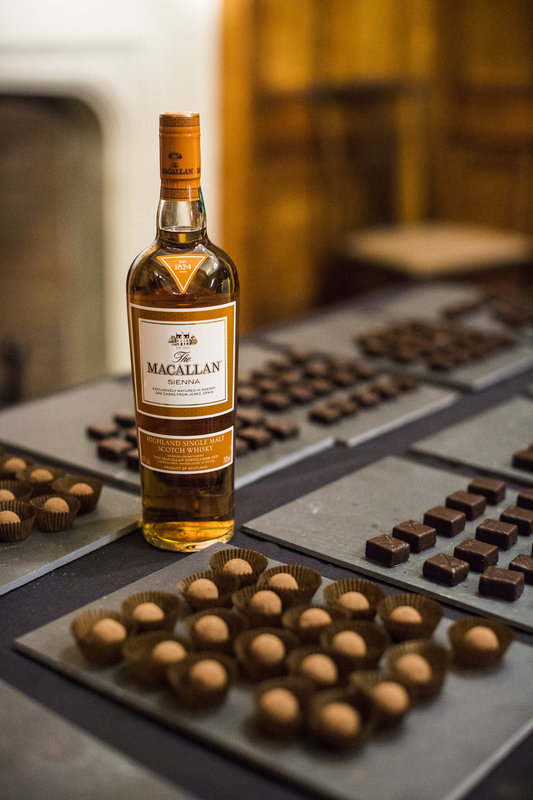 Otherwise, it begins on a light note – from the Nikka – then moving onto the Campari taking centre stage, and then settling on the warm winter flavours of the Antica Formula’s spices and bitter orange. 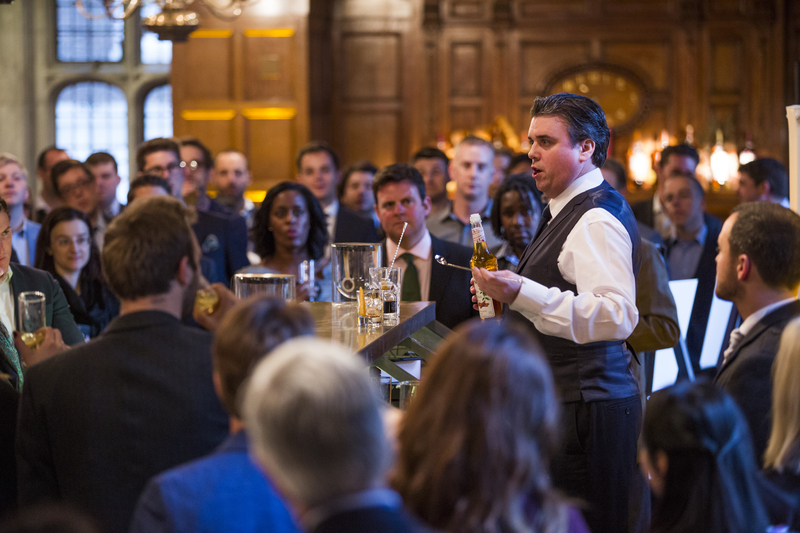 Now, it depends on the bartender you have – a colleague received a bland, tasteless drink, whereas the Hoodooist’s turned out surprisingly layered – so I’d imagine you want bartender Wayne to make this for you! 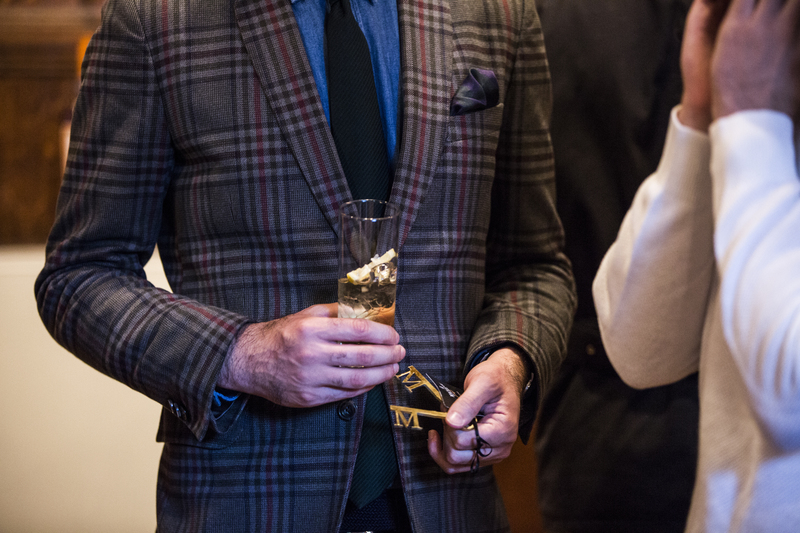 A decent aperitif. 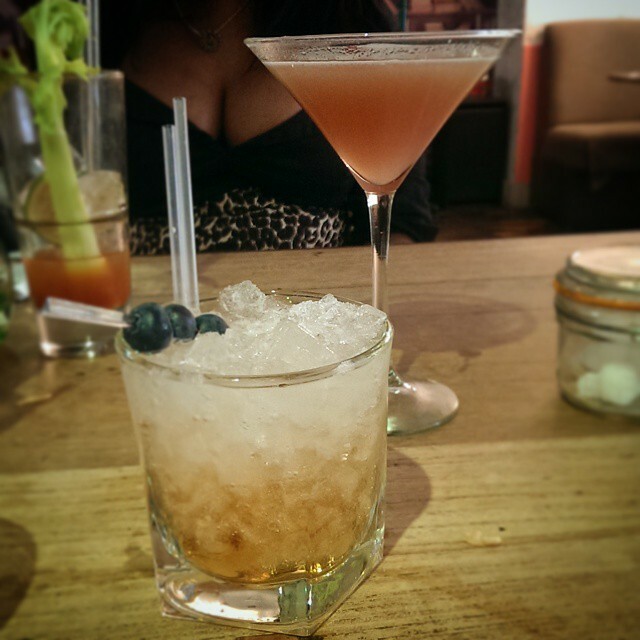 The two, very different, Kwang Su Boulevardiers. Finally, because there must be one, avoid the Green Tea-ni. Do not be enamoured by its promises of earthy Matcha. Because what you will get is painfully sour and confused appletini of sorts, with Bombay Sapphire gin, apple, an overwhelming amount of lime juice, and sugar syrup. One sip from the table was all that was stomached before being set aside. 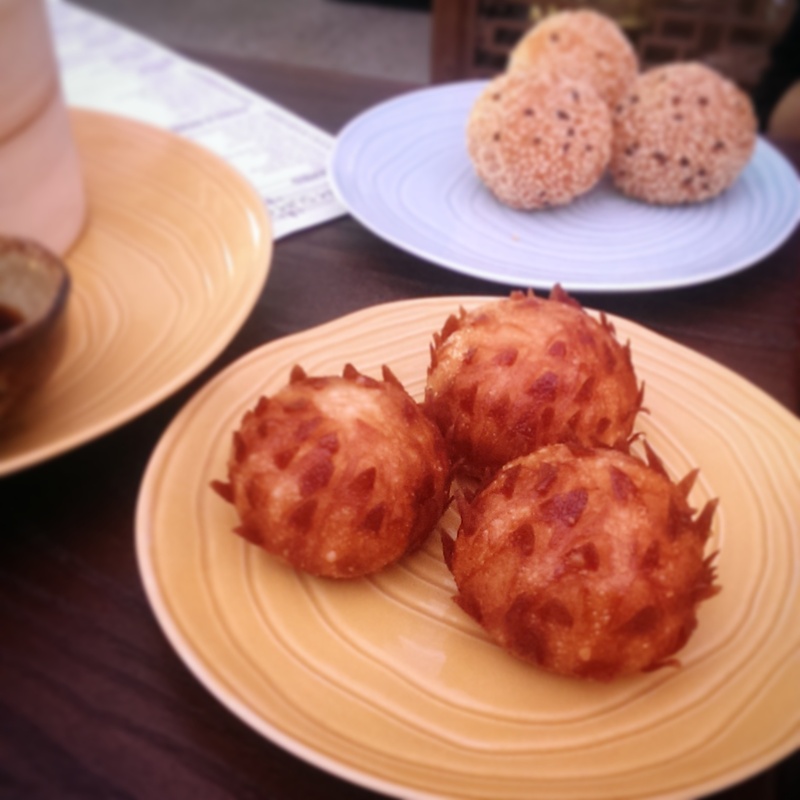 The dim sum is slightly modernised and moves away from ‘traditional’ dim sum in some ways. Whether one reads this as a step forward or back is up to the reader. 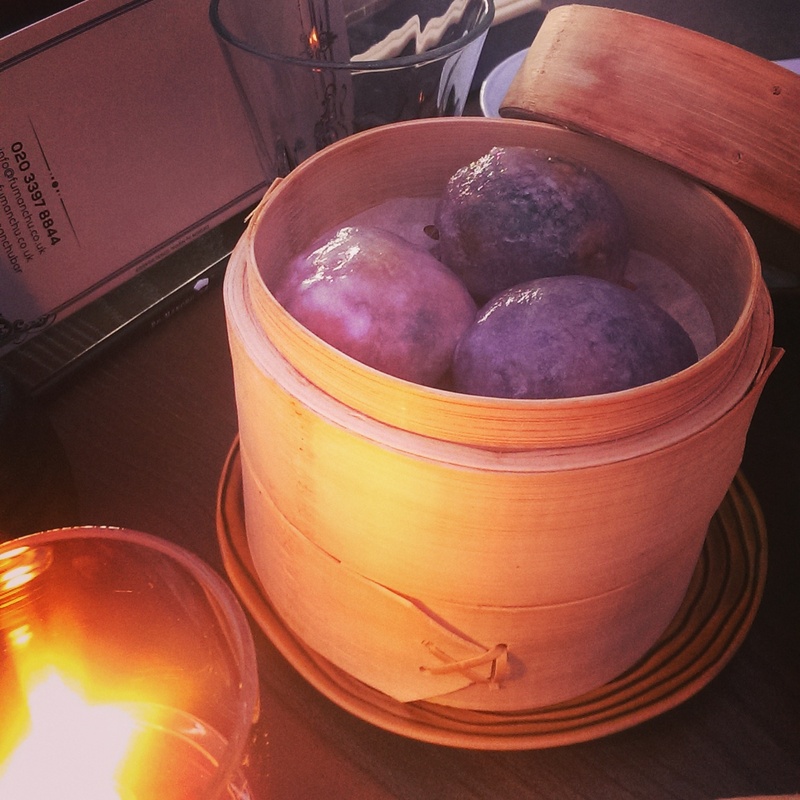 One to recommend would be the Tai Chi Bo Coy Gow scallop and spinach green dumpling. Similarly, the otherwise simple Lor Pak Gou turnip cake is turned up to eleven with Chinese sausage and prawn. 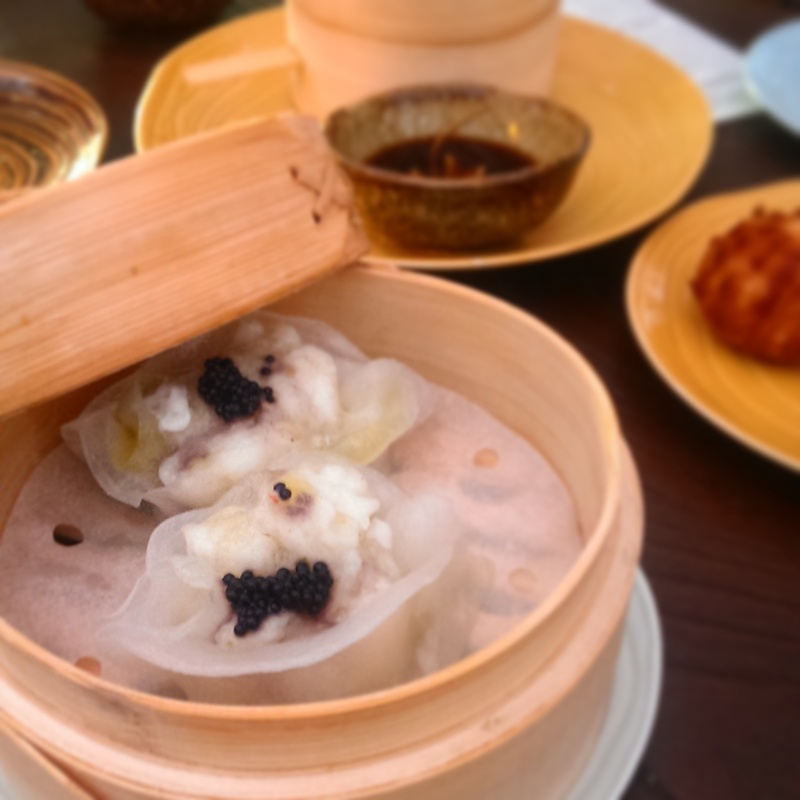 One that you must absolutely order is the Monkfish and lime phoenix-eye dumpling, this Fung Yan Gow starts off with the powerful flavours of the monkfish, and slowly build up to a lime crescendo – loved this. One of the less traditional offerings would be the Chi Si Hoi Sin Kou cheese-stuffed cuttlefish and prawn balls – which, though a more Italian, works spectacularly. The lobster, prawn and bamboo shoots Lung Har Gau, though, one shouldn’t spend their hard-earned £9.50 for. Do not forget the great selection of teas! The flowering Lily and Jasmine work a treat. 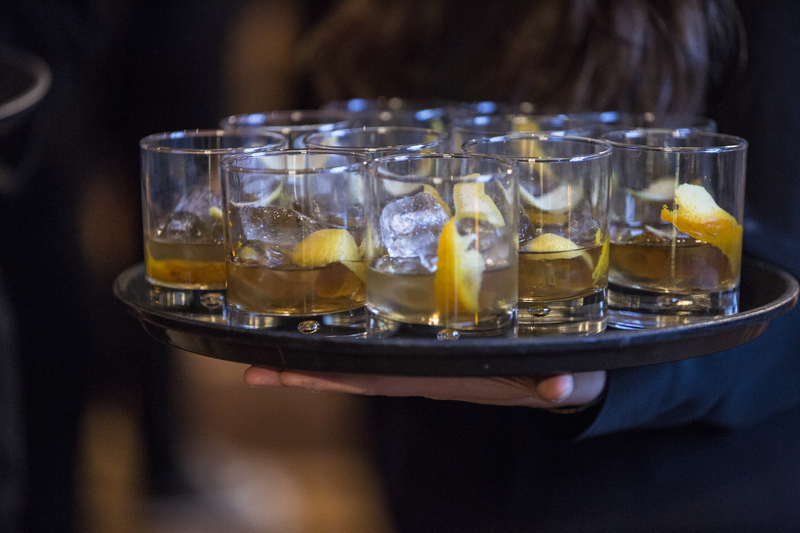 The more quiet times of day, 5-8 PM means quick and attentive dinner service, however once the crowd pours in for the club nights, ordering a drink can be bit of a task – but servers do their best to help, but might need a slightly thicker skin to move through the crowd. 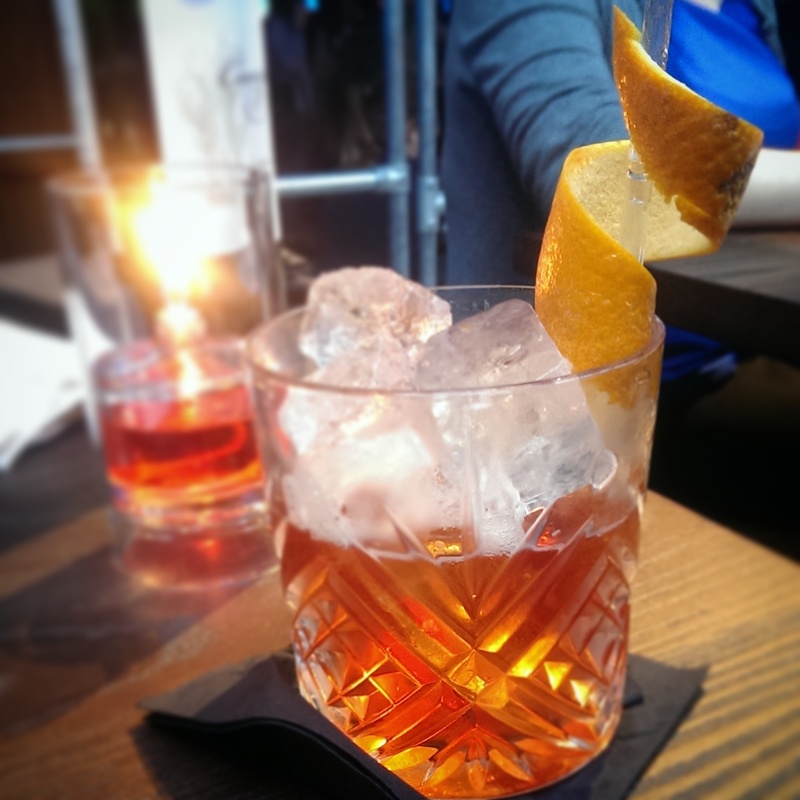 As one can expect from a club night, drinks are made quickly, and the wait can be long, so as seen with the Kwang Su Boulevardier above, unpredictability is a factor to be taken into account. 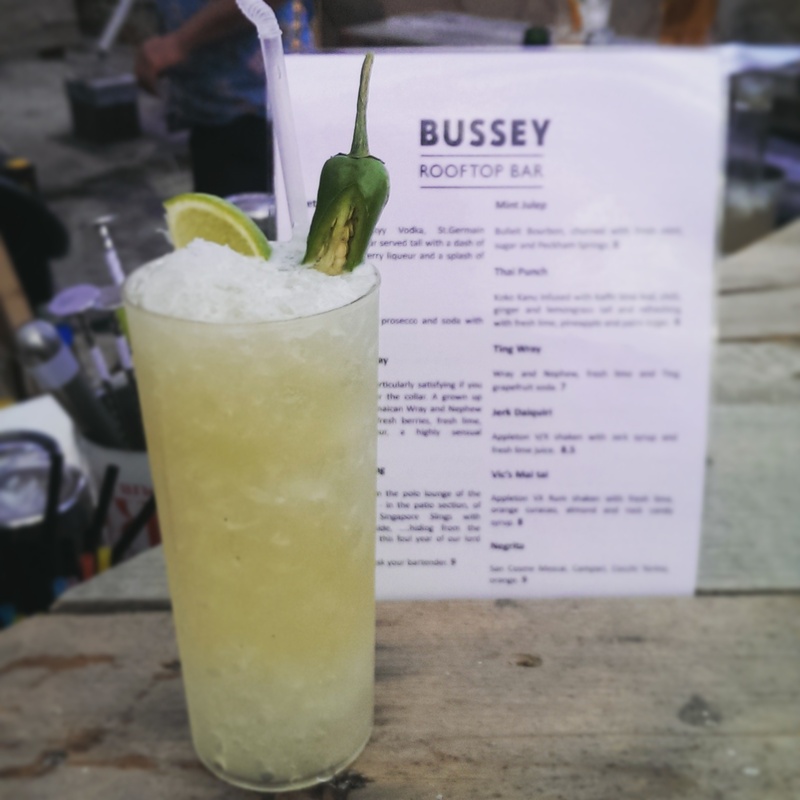 London needs more venues that can provide a clubbing experience with cocktails – and a longer food menu certainly doesn’t hurt. One hopes Fu Manchu is a precedent to further venues of the sort to grow in the city, if only to satisfy each friend on a night out. Atmosphere: Casual racism and misogyny, fun for the whole family!